Yep, it’s mid-session break. Well, slightly-before-mid-session break, really. But you didn’t think SpockSoc took a break too, did you? Nooo. This week, we’ll be showing the Easter Doctor Who special, Planet of the Dead, followed by the second half of Torchwood season two. We’ll be picking up from where we left off at the last screening, but I don’t think you’ve missed too much by way of important plot points if you want to come anyway. We start at 5pm in Goldstein G06, as ever. Since Doctor Who is slightly longer than normal, we might get a bit squished for time, so we’ll be starting as close to five as possible, so don’t be late. $5 per half pizza, with a free can of drink. P.S. Keep sending me those Star Trek expressions of interest, and whether you think you can do a midnight screening. There’s only three weeks left until opening day. I’ll decide which screening we’ll be attending next week, and start collecting firm ticket numbers then. 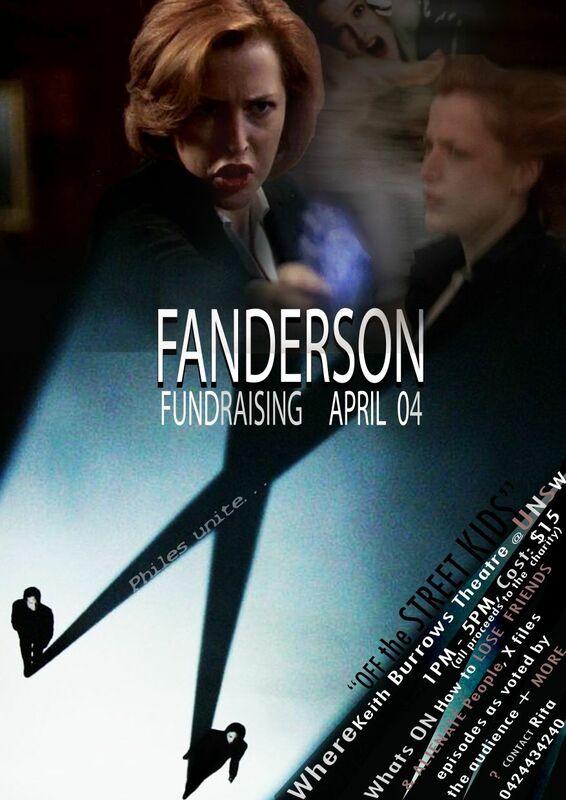 We’re having a Sci-Fi movies night this Good Friday. That means bring the DVDs of your faviourite movies, and we’ll choose the best three to watch on the night itself. Remember, it’s 5pm in Goldstein G06. Hopefully we will have a great selection of new and classic SciFi to vote on and watch. 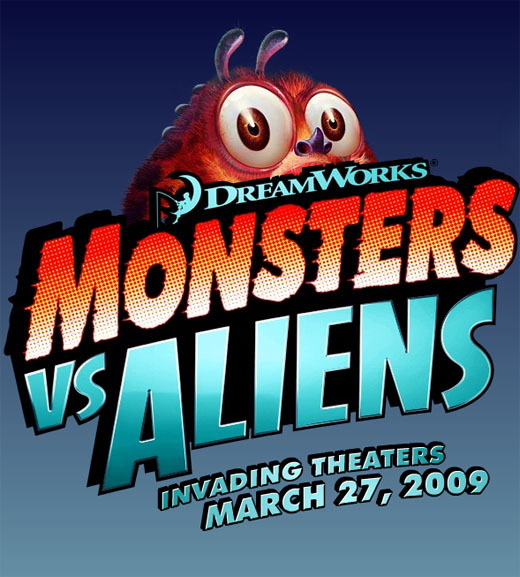 On Tuesday the 7th, we’re going to see Monsters vs Aliens – I would have made plans earlier, but I’ve only just discovered there’s actually some interest, you see. In order to avoid the near-disaster that ocurred last time, which found everyone rushing to make it to the movie after an hour-long wait for dinner, and me standing outside the cinema after the movie had started with over a third of the tickets still in my hand, I’m gonna do it a little differently this time. Plus, it’s a little too last-second to be taking numbers. Since the Ritz sees fit to only show it in 3D, which costs $15, we’re going to be seeing it at Hoyts Fox Studios instead, where the tickets are only $10. (Yeah, I know parking is more expensive at Fox than Eastgardens, but it has better access to public transport.) We’ll go to the 6pm screening, and have a late dinner afterwards if people are hungry. Rather than try to collect numbers, we’ll just meet outside the cinema at 5:30. People can buy their own tickets, and SpockSoc will reimburse $2 if people ask me and present their shiny membership card. The next movie coming out is Wolverine, on April 29th. Tentative date to go and see that is Tuesday May 5th. More details to come. A third of the way through the session already, whew! This week at SpockSoc, we’re showing the TV series version of Sanctuary, the new series starring and produced by Amanda Tapping, who played Colonel Carter in Stargate. We showed the web series last year, but it has since been made into a proper TV series. We’re in Goldstein G06 – same room as last week. Remember there’s a map on the website if you’ve forgotten where it is. Entry is free for members, and there’ll be a pizza run during the night – as ever, it’s $5 per half pizza plus a free drink. The door to the rooms is on the south-western side of the building – just go through the archway in the brick wall on the fourth side of the Quad, and it’s on your right. Remember, it’s free for members, and there will be a pizza run during the night. We’ll still be showing Torchwood (the originally-scheduled screening) but later in the session. The ones in Bold are the must see ones. Particulaly Hush and Once more with Feeling. Season 1 episode 7 Angel We find out Angel is a vampire. Season 2 episode 3 School Hard Spike and Drusilla are introduced. Season 2 episode 6 Halloween All the costumes from a particular store turn people into the rolls they are playing for the night and people loss there memory of who they are. Season 2 episode 16 Bewitched, Bothered and Bewildered. Xander is dumped by Cordelia on Valentine’s day. Xander convinces a witch to put a spell on her. the spell backfires. Let the fun begin. Season 3 episode 6 Bad candy Candy is sold by the school to raise funds. When adults eat it they regress to being teenagers. Season 3 episode 9 The Wish Cordelia meets Anya. Makes a wish which is ” I wish buffy had never come to sunnydale”. Bad mistake. Season 3 episode 14 Bad Girls Faith and Buffy go for a night out on the town. Season 3 episode 16 Doppelgangland Anya enlists Willow to get her powers back. Result, Two Willows one of whom is a vampire. Season 3 episode 20 The Prom All Buffy wants is a nice Prom free of problems. Not likely. Season 4 episode 10 Hush Emey nominated. An absolute must see. Season 5 episode 12 Checkpoint The Watchers Council arrives in Sunnydale to review Buffy’s Slayer skills. If she fails they will not give her info regarding Glory. Thats what they think. Season 5 episode 22 The Gift Season fainarly. Buffy makes the ultimate sacrifice. Season 6 episode 7 Once more with feeling. Season 6 episode 8 Tabula Rasa One of Willows spells back fire and everyone forgets who they are. Season 6 episode 17 Buffy is in a hospital. Is the Hospital reality or is the last 5 1/2 years the reality? 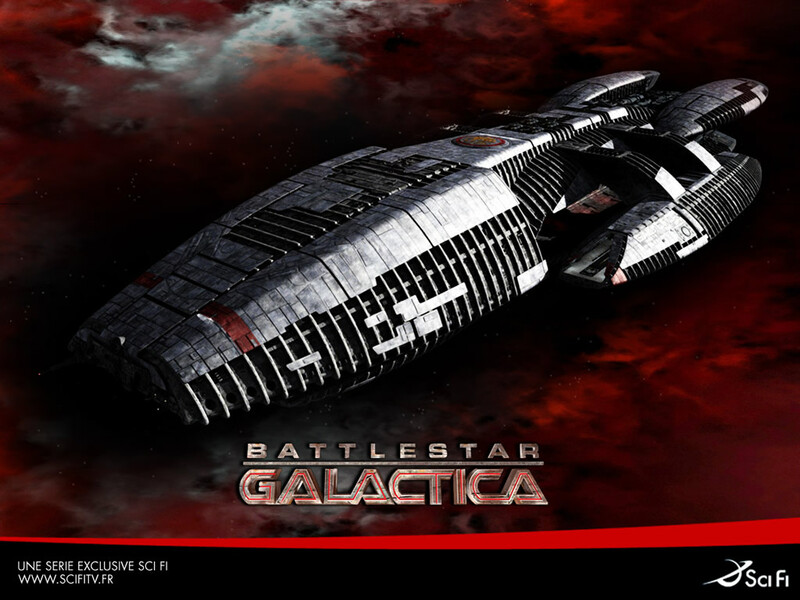 This week at SpockSoc, we’re watching Battlestar Galactica, the second half of the fourth (and final) season. We’ll only be able to watch as many episodes as we can fit, so expect another screening later on to finish it off. We’re going to be in Hut D10 again, starting at 5pm. Pizza run during the night as usual, $5 per half pizza, with a free drink. For those who aren’t quite up-to-date with BSG, I’ll give a brief recap before we start, but as last year’s SpockSoc members (like all of America) have been waiting the better part of nine months to see the second half of the season, we won’t be re-screening the first half, sorry. Anyway, tomorrow night is our first screening for the year – Mystery ScreeninG A season five, as many episodes as we can fit. For those who haven’t seen our season four screenings, I’ll attempt a brief recap. It’ll start at 5pm. Pizza run during the night. Unfortunately, we’re yet to get a room booking – it’s looking like this may wind up being a last-second announcement (no thanks to CATS) but rest assured that the screening will certainly take place, even if I have to have it at my house. I will e-mail the location before SpockSoc starts, and for those who won’t be able to access their e-mail, I’ll put a sign up next to the second-hand textbooks noticeboard in the Quad. Sorry it seems to disorganised – this will go much smoother next week, honest. We have a room – many thanks to the Gameplayers, who are lending us one of theirs. So this week we’ll be in Hut D10. For those new to uni, welcome to the clever world of UNSW’s building numbers. See, they’re grid references. If you look at any UNSW map you’ll notice it’s divided into grid squares, with the numbers running west to east, starting from Anzac Parade, and the letters running south to north, starting from High Street. So if (for example) you find yourself outside the Red Centre, you’ll notice on the big blue sign that it has grid reference H13. To get to D10, then, you simply need to walk south-west, or towards Anzac Parade and High Street. For those who prefer landmarks, it’s near the Anzac Parade end of the big construction site on High Street, next door to the Io Myers theatre. The room doors are on the Anzac Parade side of the building – we’ll have our banner outside. O-Week is over, and session one is due to start. And what better way to kick things off than with a trip to the movies? 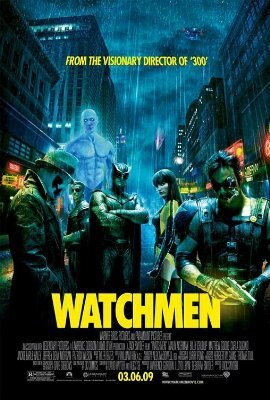 Watchmen is coming out next week, and SpockSoc is going to arrange a trip to go and see it at the 9:15pm screening on Tuesday the 10th of March. Members will be able to get tickets for $5 each. Bargain! The movie is three hours long, so if this is going to be a problem, then let me know. We’re going to meet up outside the cinema at 7:30 so we can go and have some dinner somewhere nearby if people so desire, then again at 9:00 so we can go in as a group, and so I can hand out tickets and collect money. Currently I’ve got seventeen people coming. Remember: if you want to come, let me know before Sunday. It’s fine to bring friends and/or family too – just let me know the numbers. (Send me an e-mail – select President from list.) Please RSVP by Sunday the 8th at the absolute latest. If that doesn’t work properly, the address is 39 St Paul’s Street, Randwick. That’s a block and a bit east of the Prince of Wales Hospital, which is itself just east of the uni. If you’re at uni already, your best bet is to walk up High Street until you hit Avoca, then angle right onto Belmore Road, and at the next right, angle further right onto Perouse Road. St Paul’s is left at the roundabout. You can also go up Barker Street (if you happen to be starting on that side of the campus) then left onto Perouse Road when you run out of Barker, then right at the next roundabout. If you’re catching the bus from elsewhere, the 372, 373, 376, 314 and 315 routes all stop just around the corner. The 370 stops a little further away, but it doesn’t run after about 7pm or so. Parking is… limited, unless you know the sneaky tricks, or park about three or four blocks away. As for screenings, based on comments and suggestions during O-Week, we’re making a couple of changes to the schedule, but we’ll definitely be starting in Week 1 with Mystery ScreeninG Atlantis season five. For those who missed it when we showed season four, I’ll give a brief recap at the screening. We’re still not sure which room we’ll be in, but rest assured we’ll definitely have a room by then, and I’ll let you know where it is closer to the date. For those new to SpockSoc, all screenings are free for members. During the night, you’ll be able to order pizza – any type you like, within reason – and someone (usually me) will go up to Pizza Hut and get them. Pizza costs $5 per half, and you also get a can of drink. Hope to see you at the screenings! Some Spocksoc members will be going to see The Day the Earth Stood Still at the Ritz cinema on Wednesday 7th of January. It’s been decided we’ll go and see the movie at 9:30pm at the Ritz tomorrow (Wednesday the 6th). Considering the short notice, I’m not going to try to collect numbers before the event, so just turn up and get your own ticket when you arrive. I’m going to try loitering in the lobby outside cinema 1 from about quarter past, so we can gather there. If you come and find me, SpockSoc will give you a $2 reimbursement on your ticket as part of our membership benefits. Any members are welcome to join the group.